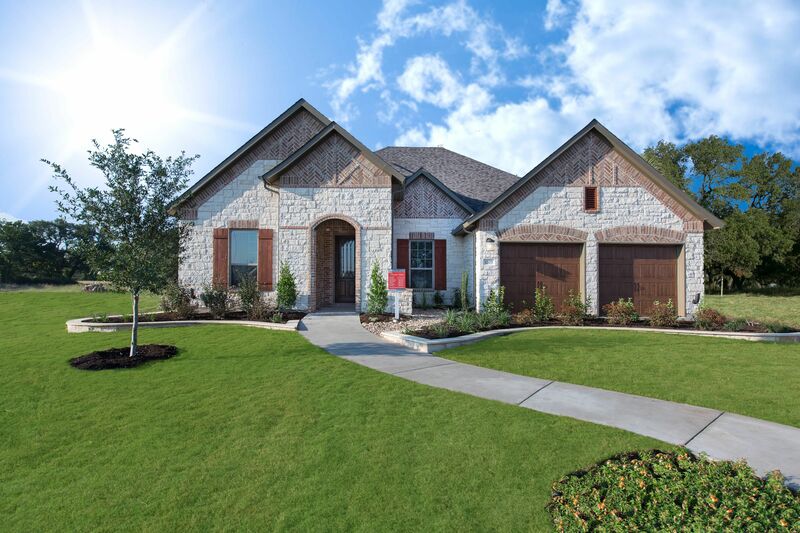 The Oaks at San Gabriel is nestled along the banks of the San Gabriel River, with stunning Hill Country views, inviting nature trails, and more than 100 acres of parkland and beautiful open spaces. Located between I-35 and Parmer Lane, and close to Hwy. 29, the Oaks offers easy to access to historic, charming Georgetown as well as downtown Austin. And if you’re looking for exemplary schools, the outstanding Liberty Hill ISD serves children who live in The Oaks. Brohn Homes is building elegant French Country style homes in this beautiful Georgetown neighborhood. Every floor plan features Brohn's award-winning open, spacious style and includes our unbeatable array of standard fixtures and finishes.